Why hire a consultant? To supplement staff time and expertise, ensure objectivity or credibility, benefit from a variety of skills, and meet deadlines or legal requirements. APA posts Requests for Proposals and Requests for Qualifications as a free service to consultants and those seeking their services. Consultants, APA posts new RFPs and RFQs every day. View our listings for projects that suit your company’s interests and capabilities to a T.
APA's listing of consulting firms that provide planning expertise in general planning as well as specialty areas. A plan means little if it doesn’t get implemented. That’s why planners need to take a holistic view of the process. Plan implementation does not begin after publication. It begins in the first moments of the planning process, when someone chooses who will wield power to set priorities and make decisions and who will not. All practitioners sometimes grapple with the right thing to do in complex and often ambiguous situations that seem inconsistent with their own experiences or the AICP code. Learn how to make ethical decisions more easily. 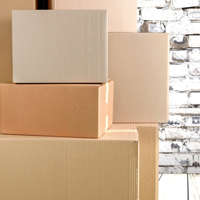 Have you considered leaving your agency, firm or company to start your own planning business? This program presents two different paths to success for planners with an entrepreneurial streak, including the gratification, pitfalls and ethical issues in following that dream. Hear how your values and career can align while working for government or private-sector institutions. Early career professionals share their journeys, triumphs, and challenges. This session is ideal for professionals considering what's next and managers pondering recruitment and retention. 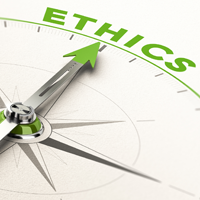 Learn about the ethical responsibilities in writing and responding to RFPs for both public agencies and consultants. This session will highlight how the AICP Code of Ethics informs a transparent and ethical path to a successful project. If you work in the private sector, you know that marketing is a fact of life. As a public sector planner, consultants' marketing approaches can be informative or off-putting. How do planners effectively reach out to new clients to convince them that they would be the perfect choice for a project? Even before a project is undertaken — when the project is being bid out and proposals received — planners have key ethical responsibilities to consider. Should I Start a Consulting Firm? "A Guide for the Idealist" blog post: Some essential questions to ask yourself to determine your competitive advantage. There are risks involved in going on your own, but also great rewards. 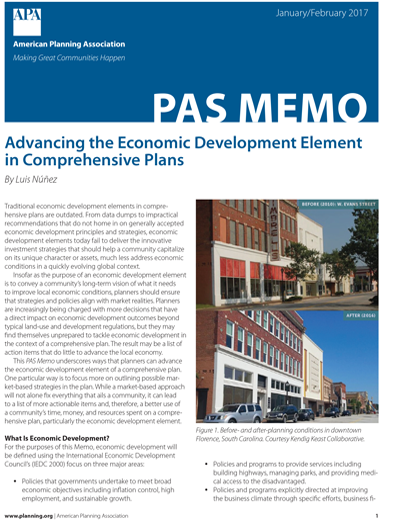 The January/February 2017 issue of PAS Memo highlights some common problems with traditional economic development elements in comprehensive plans and offers guidance on how to improve this element. 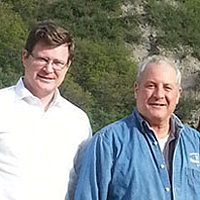 John Houseal and Devin Lavigne of Houseal Lavigne Associates share their journey to starting their own private practice. For planners retirement may not mean the end to working, but a career and life change. We asked a couple of planners how they are managing the transition. Why hasn't the government RFP process adapted to the changing times? Although consultants who work for government agencies can now find most requests for proposals and requests for qualifications online, they are obliged to follow the same steps they have been using for decades. 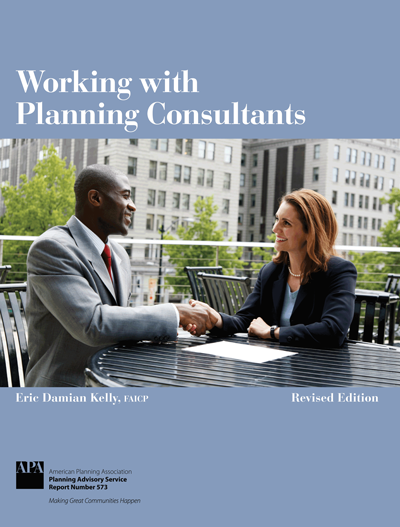 Few planning officials go through the process of hiring a consultant often enough to feel confident in the process. This PAS Report maps out a path from the decision to hire a consultant to the victory lap at its successful completion. 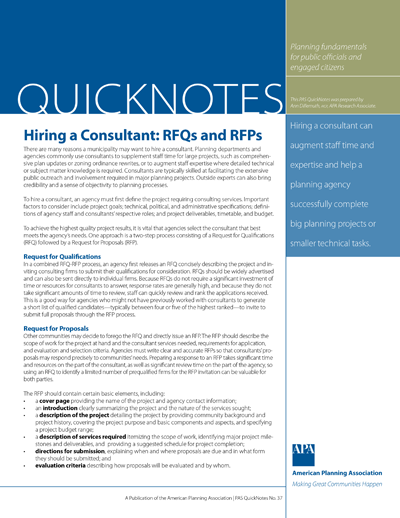 This edition of PAS QuickNotes presents an overview of the process of selecting and retaining a planning consultant through the use of a two-step RFQ/RFP process.